A model of hyper-competitive race with an attractive price, the Power Series has the same back as the famous Speed ​​Series bases. 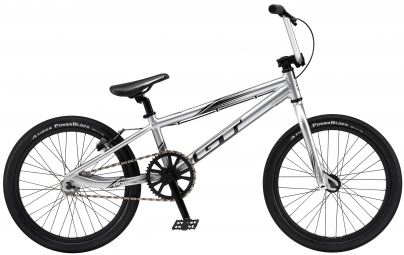 Its aluminum frame, the Cr-Mo fork and pedal three rooms open equipment on top. Fork: 100% Cr-Mo pivot 1-1/8 "
Tires: Tioga Power Block 24 "x 1.75"
Handlebar: GT BMX Hi-Ten 5.5 "x 27.5"
Weight checked Alltricks: 10000 gr.